October of each year is National Pastor Appreciation Month. 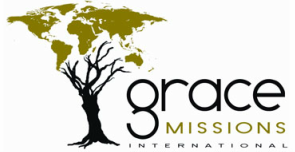 Grace Missions International offers area churches a meaningful opportunity to recognize their pastors and their spouses for the spiritual and practical leadership they provide. Hebrews 13:17 reminds us to “Obey our leaders, and submit to them; for they keep watch over your souls, as those who will give an account. Let them do this with joy and not with grief, for this would be unprofitable for us.” We want to facilitate some of that “joy” in the lives of our pastors and spouses. Thankfully, in Bartlesville, there is a core of believers with this same heart. We have been able to partner with the National Day of Prayer Leadership Team to sponsor an event that brings pastors and spouses together for a time of fellowship so they can encourage one another, receive encouragement from the wider body of Christ, and have some fun (joy). This year the event was a Pastor Appreciation Breakfast held on the Voice of the Martyrs campus from 7 AM to 8:15 AM on Tuesday, October 15, 2013. Following a continental breakfast, there was an inspirational devotional by one of our Caribe pastors, and then some fun time of door prizes and the special award of a vacation getaway. The cost of this annual event is $3,000. Planning for next year's event has begun with a date selection of October 1, 2014. If God is calling you to help us in this community-wide effort, please go the Donate Tab to make your contribution. If you would like further information or have an interest in serving at this event, Contact Us from the Home Page.